Married at First Sight spoilers tease that Kristine Killingsworth and Keith Dewar may be the first pair to consummate their wedding night among the new Season 8 couples. The new husbands and wives hardly know each other. But, that won’t stop some of them from getting a little frisky with their new life partners and enjoying some wedding night bliss. Do any of the MAFS couples go all the way on their first night in their marital beds? The Married at First Sight experts send the Season 8 couples on exotic getaways to enjoy their time together as married pairs. The couples hardly know one another. It’s definitely a fast track to getting to know the person you’ll ideally spend the rest of your life with. Dr. Pepper Schwartz mentions that honeymoons are “a celebration of love.” It’s safe to assume that love isn’t in the air just yet. Still, MAFS viewers will get to see these new relationships blossom. Hopefully, love is in the cards for these couples. Last week on Married at First Sight, the final two weddings took place. The first wedding was Luke Cuccurullo and Kate Sisk. The second wedding of the episode featured Keith Dewar and Kristine Killingsworth. Things got off to an awkward start for Luke and Kate. As soon as Kate walked down the aisle, Luke realized he’d met her before. Luke runs a speed dating service. Not long before their wedding, Kate accompanied a friend to one of Luke’s events. Viewers will definitely watch to see which couples go all the way on their wedding night. The Married at First Sight relationship experts plan exotic getaways to kick off their honeymoons. Will any of those good vibes translate into something more physical? Even though the married couples are just getting to know one another, there is chemistry right off the bat for some. 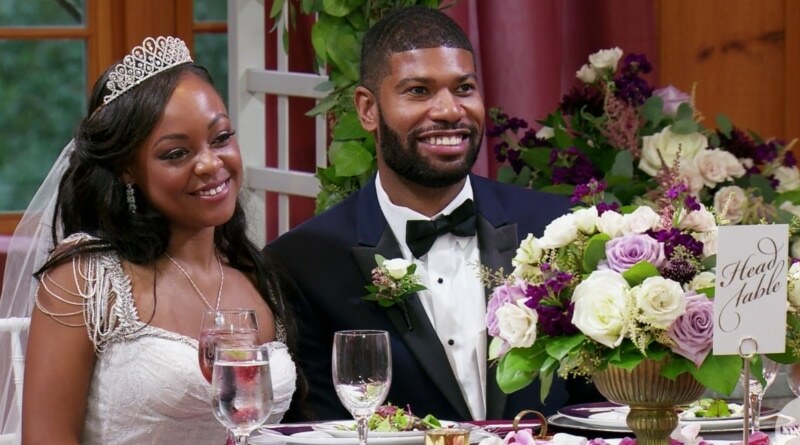 Married at First Sight spoilers show Keith Dewar and his new bride Kristine Killingsworth being the most comfortable with physical intimacy out of all the couples. MAFS spoilers show the couple getting hot and heavy in the tub of their honeymoon suite. They have some bubbly to sip on to go along with their bubble bath. The pair lock lips and it certainly looks like they consummate their marriage on their wedding night. With a whole new set of Married at First Sight couples, it may take viewers some time to warm up to the new faces. The couples get to know each other on the show. In turn, viewers also have to adjust to seeing new people and learning their stories. Many viewers have their favorite couples and those that they’re rooting for. On the other side of that coin, some couples rub MAFS fans the wrong way. It’ll be worth tuning in to see how these new relationships grow and develop as the season continues. One thing for sure is that the experts will be on hand to guide these new couples every step of the way. Catch an all-new episode of MAFS Tuesday at 9:00 pm only on Lifetime. Check back with Soap Dirt often for the latest Married at First Sight spoilers, updates and leaks. ← My Big Fat Fabulous Life: Fans Blame Whitney For Fertility Misinformation – Age Really A Factor?